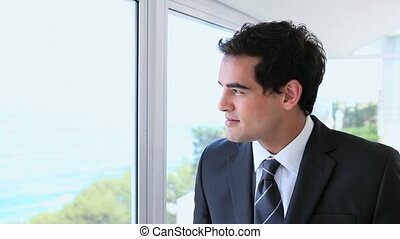 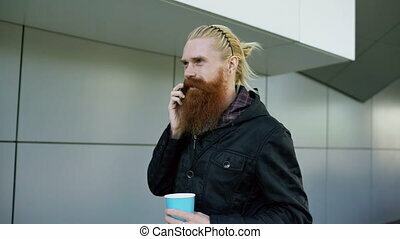 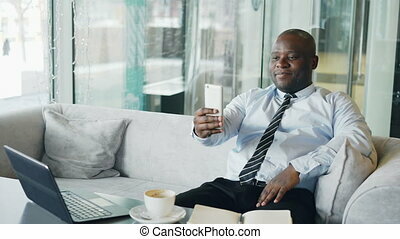 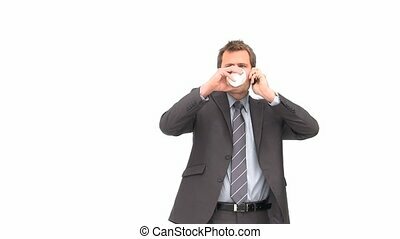 Businessman phoning while drinking coffee. 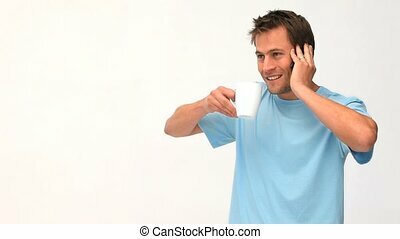 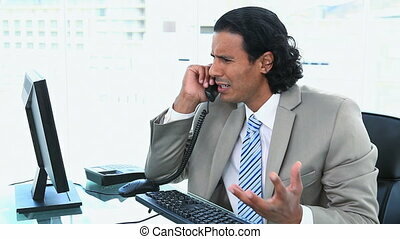 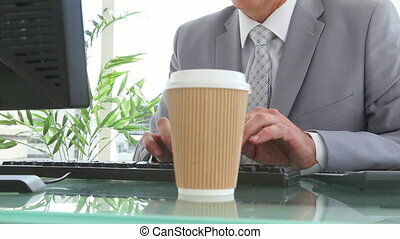 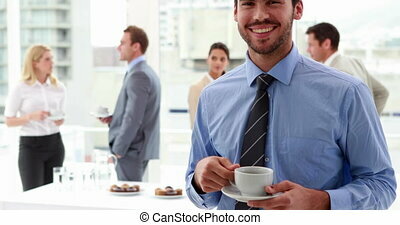 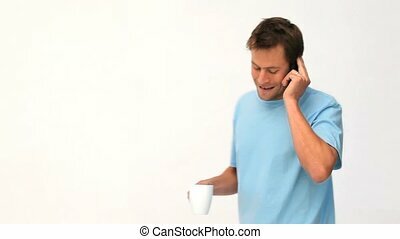 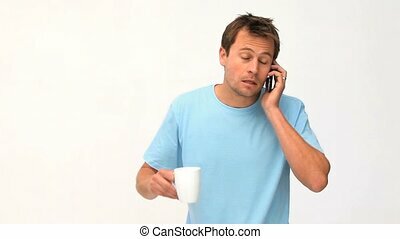 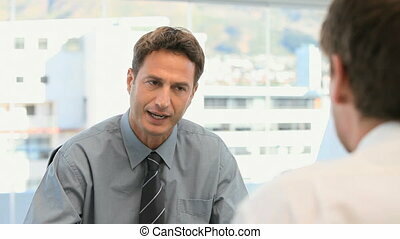 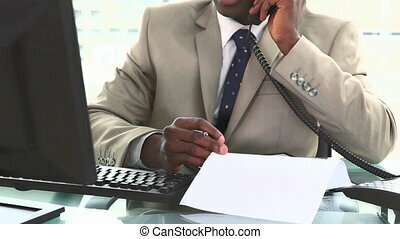 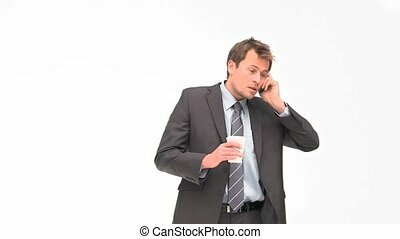 Businessman phoning while he is drinking coffee against a white background. 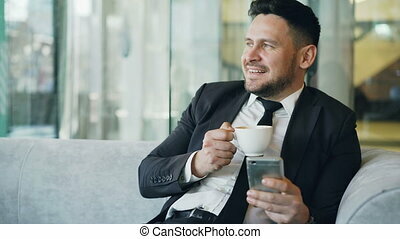 Coffee break on a go. 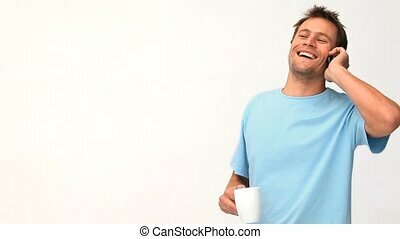 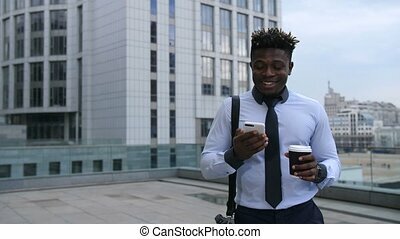 Smiling african american businessman holding coffee cup and checking news on smart phone while walking outdoors. 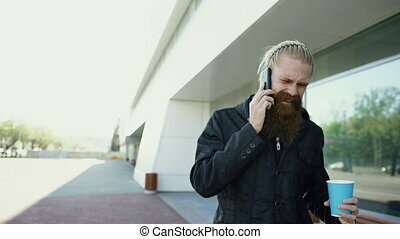 Positive entrepreneur networking with cellphone on city street. 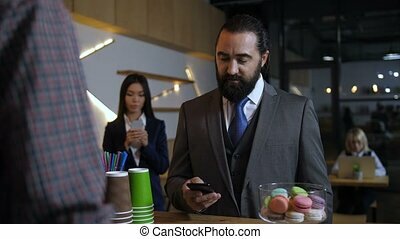 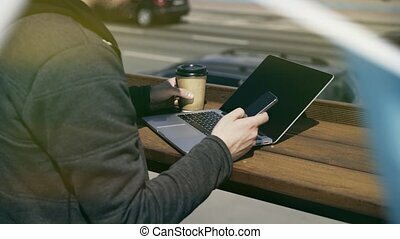 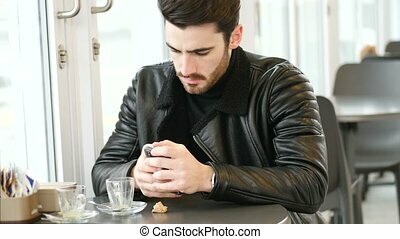 Confident handsome bearded businessman in formalwear ordering in coffee shop while being absorbed in his smart phone. 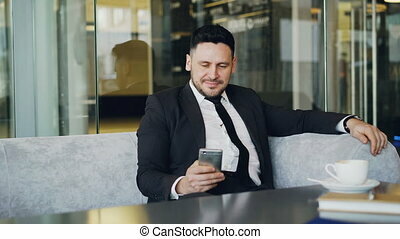 Female client busy with cellphone waiting in line after work. 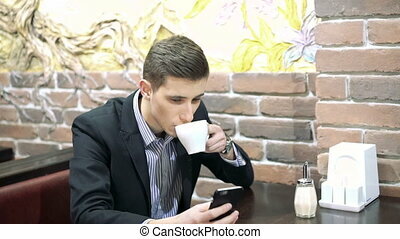 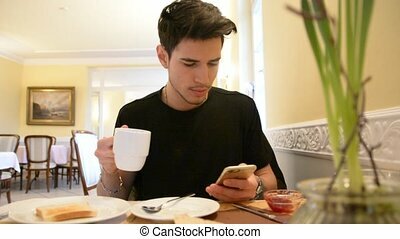 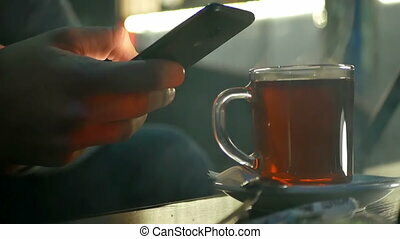 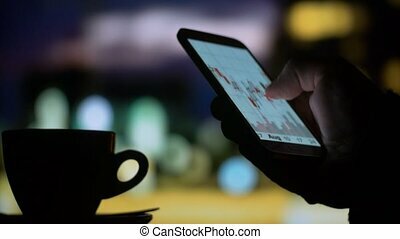 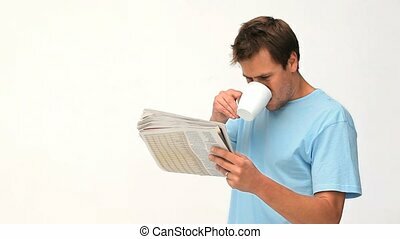 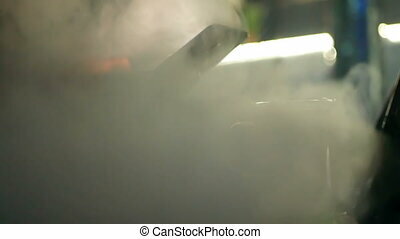 Searching internet smart phone while drinking coffee tea at night.